Christmas Tees & Bodysuits Just $12.99! Down From $25! Shipped! You are here: Home / Great Deals / Christmas Deals / Christmas Tees & Bodysuits Just $12.99! Down From $25! Shipped! 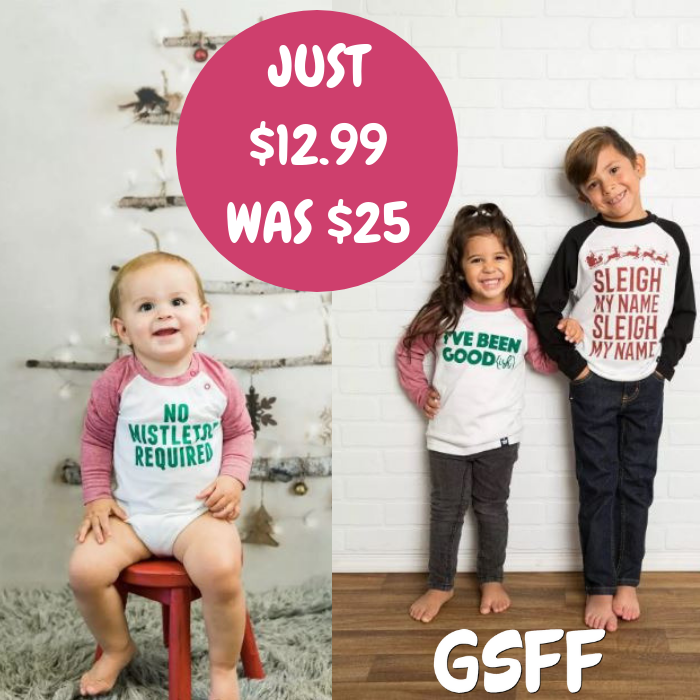 Jane is now offering these Christmas Tees & Bodysuits for just $12.99 down from $24.99 PLUS FREE shipping! Be extra jolly this holiday season with our multi-colored graphic bodysuits & shirts! Choose from 11 festive designs and 3 vibrant shirt colors.